The spring equinox is a time for celebrating the place of balance between darkness and light, as the days and nights become equal in length, there is said to be a fight between these forces. This is a time of great spiritual significance; as we are drawn away from the darkness, by the light as it battles for dominance. Reflectively, this is often the place we find ourselves in when moving into a more awakened state of consciousness. Our darkness become illuminated as the light draws forth. At this point it is important to turn towards the light for guidance, whilst accepting the duality and lessons learned as we move slowly away from the unconscious beliefs we have been holding. In light of this, we will be looking to create balance and to find a true footing within our practice, our life and our relationships. 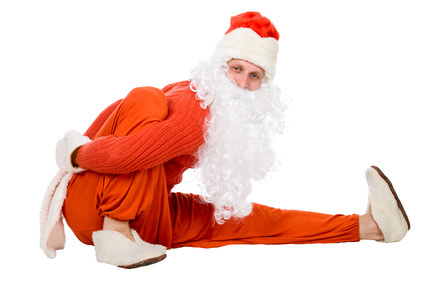 You will enjoy an evening of gentle yoga that is designed to bring a balance between the body, the mind and emotion. While flowing gently through some postures, and delicately holding others with the use of props for an effortless feel, you will watch your body and mind disappear into a well of space and deep inner peace. 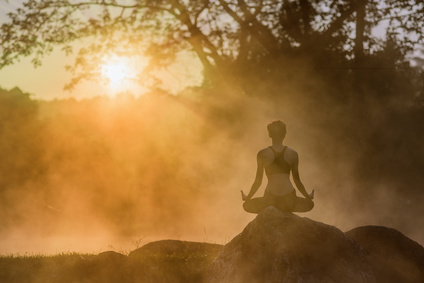 The yoga will be followed by a calming meditation and soothing gong bath to celebrate the clearing away of darker traits to make way for illumination and connection to one’s inner light. You may choose to receive Reiki while the gongs are being played softly and soothingly. We will then close the event with some nibbles and a cup of tea or coffee and the opportunity to chat. I anticipate this event to fill quickly so places are secured on receipt of payment. If you would like further details prior to booking, please do not hesitate to contact me. 6.15pm doors open for a prompt start at 6.30pm. Should you prefer to pay via bank transfer, please do contact me for details. *Payment is non-refundable and non-transferable. Do you have the courage...to be your true Self? 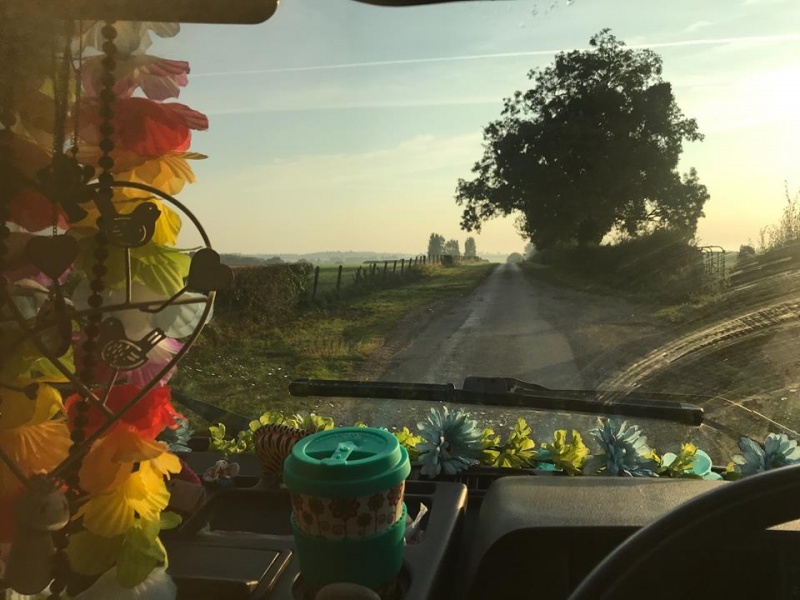 Despite my many years of Yoga and meditation, and thus the greater sense of connection that I have towards my authentic Self, I have been surprised to find that owning an old VW Campervan has helped me to realise, more than ever before, the conditioning I am subjected to daily and my subsequent inner reactions towards that conditioning. 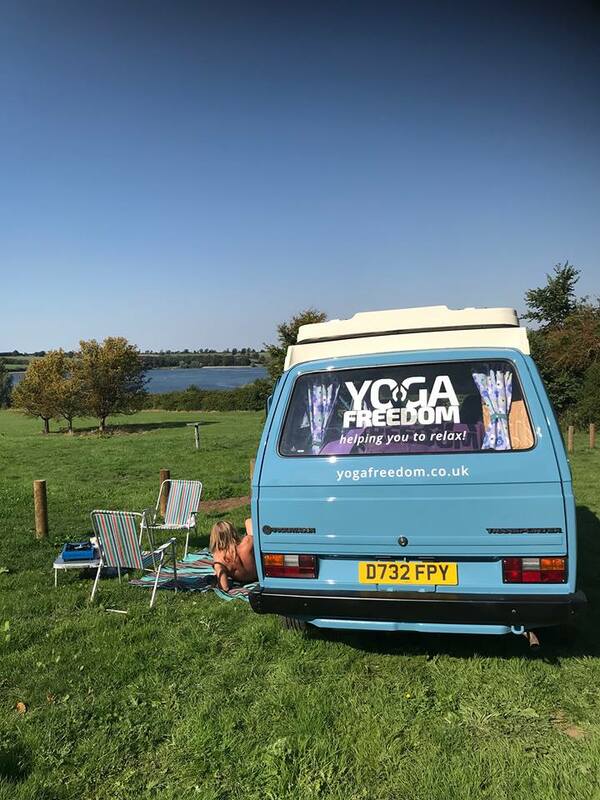 I use my campervan, ‘Baloo’ every day, to run here and there, delivering regular daily yoga classes, in and around Northampton. This lends me to be out on the roads, at all times of the day and night, and to be driving on both quiet country roads and the main A45 route around the town. Despite his age, ‘Baloo’ does not dither, he can comfortably sit at 70 on the carriageways and he feels responsive and safe to drive. He does however, ask for a little tenderness when changing gears so I am aware that he needs to be driven with slow consideration and with a more mindful approach. Reaction times are reduced as he is not as responsive as a modern car or van. This has meant that I have come to experience more than my fair share of impatient drivers on the roads of Northampton. As I see a driver screeching past my ears or cutting in front of me as I exit a roundabout, I have had to, on many occasions, hold my breath and hope for the best. This can as you may imagine lead to a little anxiety and concern each time I experience it. Roundabouts are the worst, where people panic and try desperately to get past me, thinking they will be stuck for ages. Little do they know that we keep up nicely with all speed limits, with no problems at all! When I first started driving ‘Baloo’, I would feel pressured to move along with the rest of society as some drivers weave in and out and push up behind me, with aggression and intimidation. I would feel their presence, their intention and their aggression weighing on me and fear would rise. Just because 'Baloo' is a little slower to move away from junctions and is generally driven in a considered and mindful way, I regularly feel as if I am being forced off the road, (quite literally in some instances!) as if society can no longer accommodate the differences around us. We all have to be rushing and tearing about, head ahead of the moment and heart in our throats! Over time, my resilience has built and the sense of joy I have when driving ‘Baloo’; remembering the many years that I wanted to have him, all dressed with my logo and my hippie flowers, have persuaded me that I need to stand firm and rise above the agitation of others. Their wants and needs are different from mine and I am well within my rights, to be who and how I wish to be. I remind myself that I do not hold up traffic. I am aware that reaction times are lessened so I drive with even more awareness of everything around me than I used to before and I feel that owning ‘Baloo’ has made me a far better driver. I have always loved driving and have been a good driver but he has enriched this experience for me. I sit back in his fur covered seats, with his large steering wheel and the large window in front of me, listening to the smooth hum of his engine and the feeling of space around me, and I have found my space. This world has become so fast, so high tech, so impersonal and is intent on moving towards ‘achievement’ rather than allowing a sense of ’being’. ‘Baloo’ has the power, more instantly than anything I have experienced, to bring me back to the present moment, to rise above my in-ate feelings and reactions and to ground myself in the here, and the now. He literally is a driving meditation, where I am fully aware, fully present, and fully relaxed as I drive. Everyone has the right to find their special place and to express who they are! If you feel that a deep desire of yours does not fit in with the norm; as long as you are being kind to yourself and others, there is no reason on Earth why you shouldn’t enjoy every second. It is the most beautiful feeling. The next time you see Baloo, please offer him some space, take a moment to connect to the moment. Who knows what you will find there! I am excited to announce I will shortly be running a new weekly yoga class on Friday Mornings at Wootton Community Centre. Commencing on Friday 2nd November 2018. Booking is essential so I can ensure numbers. I can be contacted on 07984191016 or via my online booking form. Insomnia is such a common problem. Most of us will go through spells of it at some time or another. For some people it is a chronic state that seems to have taken control of their life and in some cases, has ruined their day to day happiness. In this workshop, I will explore with you some of the common causes of insomnia. Many daily stressors contribute to the inability to let go of the day and to rest properly. 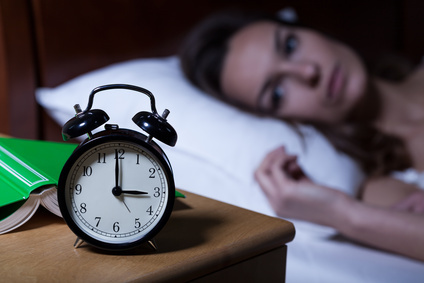 I will share with you simple ways you can begin to prevent falling into the insomnia cycle. You will learn restful tools, allowing you to manage a night when you find that you just can't sleep. A technique known as Yoga Nidra is a deep relaxation technique that will carry you through even the most difficult night. 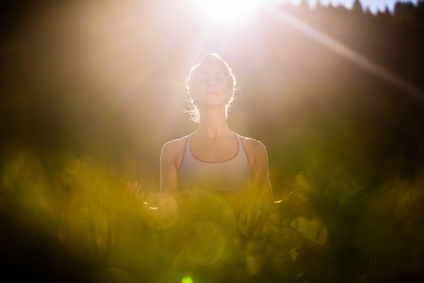 One hour of Yoga Nidra deep relaxation is the equivalent of 4 hours sleep; in terms of rest for the body and mind! Nidra session during the workshop to help you to let go of the physical and mental tension that may be keeping you awake each night. You can then practice this technique at home. This workshop will introduce you to some gentle yoga poses; known to relax the body and mind, so you can get back into bed and fall sleep. You cannot force yourself to fall asleep, you have to allow yourself to fall asleep! - This workshop will help you to do just that! Tea and biscuits will be served during the morning. 2 pillows, 2 LARGE Towels and 2 Blankets, and a Yoga Mat. Should you need me to lend you a mat, please let me know and I will ensure I have one for you. -These items will be used as props, you won't be getting wet! I anticipate this workshop will fill up quickly so do let me know if you wish to book your place. Time: 10.30am - 1.30pm - Please arrive promptly for a relaxed start. The cost of the workshop is £40.